A themed asana series, connecting to this natural cycle of dark and light. Select practices that harness the power of our own focused intentions as we create and prepare for renewed vibrational energy in the new year. This hatha yoga class is appropriate for all levels of yoga; beginners welcome. This workshop is offered as Karma yoga; participants are encouraged to pay what they can or use your studio pass. "Take an intentional pause at the beginning of the holiday season to reflect and remember what it is that is truly important to you." Join Kat for a themed asana series with select gratitude practices to acknowledge and appreciate the richness of life exactly as it is while generating the powerful, creative energy of gratitude and abundance. This hatha yoga class is appropriate for all levels of yoga; beginners welcome. FREE, Donations gratefully accepted for GBIS, Greater Bennington Interfaith Community Services, providing medical care, food, and supportive services to local community members in need. Danielle says, "Since loving nap-time in pre-K, I've longed for stillness, for quiet, for calm, for peace. When I read that 'I am not my thoughts'--noticeable relief settled in. Practicing slowing down thought and expanding space between and around thought is a return to stillness, quiet, calm, peace. Using Eckhart Tolle as a guide is a gentle path toward stillness." This will be an opportunity to explore sitting quietly and perhaps finding the clear space inside. Join Marlana Freitas for an exploration of how to sustain a happy life through the holidays with happy, healthy nutrition. Explore how to tap into your intuition, affirm your value, claim your worth, and journal on healing, and let gratitude lift you. Workshops will include breathing, relaxation, music, affimations, poetry, journaling, readings, and safe sharing in a circle. "Stress in the body or fear in the mind instantly alters the breath patterns. Breath combined with consciousness has an added impact on harmonizing the conflicting unconscious forces that keep you from being relaxed and focused in daily life. Breath connects the body to the mind and the mind to the body. Breath is a bridge between body-mind because it is subtler than the body and grosser than the mind." What can I expect from taking this workshop? What IS Somatic Breath Therapy? 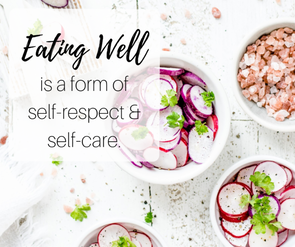 a self-facilitated method to continually support a balanced healthy life! Kaiilama Morris is a certified Somatic Breath Therapist with a private practice for over 19 years. The education, facilitation and heart presence she exudes is and has been a gift to many of all ages. Her greatest passion is in supporting others towards living a heart centered, connected, joyful life! The breath and the power of LOVE continue to inspire her!. IF YOU HAVE EVER EXPERIENCED BACK PAIN, THIS WORKSHOP IS FOR YOU!! In this workshop you will learn short, simple therapeutic yoga practices carefully designed to decrease muscle and joint pain and to promote health in the low back, hips and sacrum. There will be a presentation on Understanding Back Pain and hte application of therapeutic yoga to reduce pain and strengthen muscles. There will also be a posture clinic on how to safely perform postures and movements. Lastly you will learn a therapeutic, focused pratice for low back and sacrum and a second therapeutic, focused practice for the hips. In this workshop you will learn short, simple therapeutic yoga practices carefully designed to decrease muscle and joint pain and to promote health in the upper back, neck and shoulders. There will be a presentation on Understanding Back Pain and the application of therapeutic yoga to reduce pain and strengthen muscles. There will also be a posture clinic on how to safely perform postures and movements. Lastly, you will learn a therapeutic, focused practice for upper back and neck and a second therapeutic, focused practice for the neck and shoulders. These workshop or workshops are open to all levels of yoga experience as well as those with no yoga experience. FEE: Pre-Registration Required - minimum of 8 to hold workshops. You may preregister with Charles or Jane. * $50 in advance for both workshops. * $30 in advance for each. * $35 at-the-door for each. * $60 at-the-door for both. Learn how to use oils for more restful sleep & create a therapeutic pillow spray. 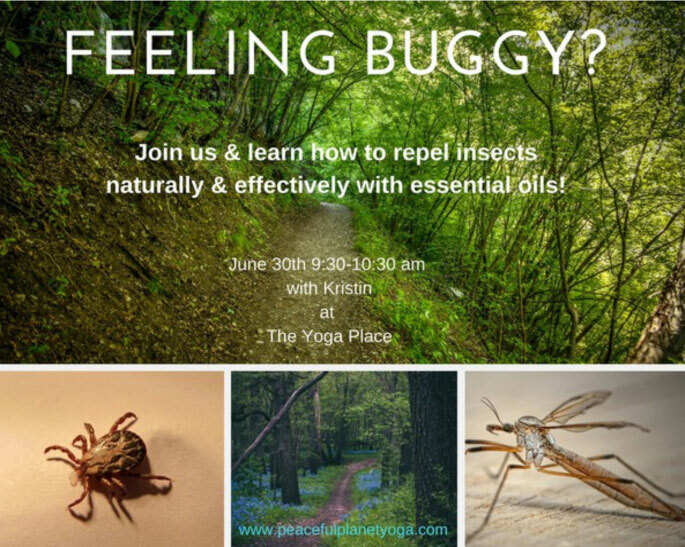 This will be a FREE workshop........focusing on how to best use essential oils for a more restful sleep. Create and optional DIY insect repellent spray for $20. Marlana Freitas, LMT and INHC has been in private practice as a massage therapist here in Bennington since 2003. She received her massage license after graduating from Dove Star Institute in 2000. More recently, she decided to return to school at the Institute for Integrative Nutrition and Health Coaching. She is very excited to be able to offer this new service to our community. Marlana has had great success herself with the Integrative Nutrition program, reaching a weight loss of 40lbs through this program that focuses on clean eating and portion control. She is looking forward to helping others reach their goals. gather courage, confidence and many tools to be able to set the boundaries you want to see. This workshop is about honoring you, so that you can stand in your truth, your strength and your light. We will strengthen our voices and deepen our presence together. Please bring a bag lunch, beverage, a pen and a journal. PREREGISTER necessary for preplanning. $75/woman. To register contact: Teresa King: ﻿﻿﻿teresaking1@live.com﻿﻿﻿. In Thailand, all members of a family, learn some sort of massage which they can then offer to others as a form of love and service. In the USA, Thai Yoga Massage is generally offered by skilled paid practitioners. This class is designed to introduce already skilled massage therapists as well as the general public to Thai Massage Practice. 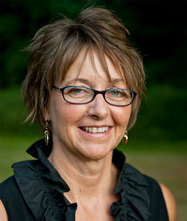 Rebecca Nenno, (mindnbody.massagetherapy.com/thai-training) will introduce us to Thai Bodywork. Great for correcting alignment issues and postural imbalances, it is a complimentary modality that is easily incorporated into other types of bodywork. Traditionally, it is performed on the floor on a mat, and the recipient wears comfortable clothing. Although this workshop is geared for professional massage therapists, Thai Bodywork is something anyone can benefit from. Marlana Freitas, LMT, INHC has been in private practice as a massage therapist here in Bennington since 2003. She received her Massage License after graduating from the Dove Star Institute in 2000. More recently she returned to school at The Institute fro Integrative Nutrition and Health Coaching. She is very excited to be able to offer this new service to our community. Marlana has had great success herself with the Integrative Nutrition program, reaching a weight loss of 40lbs through this program that focuses on clean eating and portion control. She is looking forward to helping others reach their goals. Restorative yoga is a quieting and self-regenerating practice for the body and mind. The body is placed in supported postures (using several props, such as bolsters, pillows and blankets) that are traditionally held longer than in active yoga classes. The physical support and extent of time in the postures helps to enhance the healing benefits of renewing and rebalancing one’s energy. A well-rounded restorative practice will include restful poses, as well as breathing practices (pranayama) and mindfulness exercises to support total relaxation. In restorative yoga, you don’t DO the pose, the pose DOES you. From PMS and digestive discomfort, to anxious depression and moderate fatigue, there can be a remedy through the art of restorative yoga. The practice helps you to embody peace by encouraging the release of muscular and mental tension, therefore inducing the Relaxation Response (parasympathetic nervous system). With a regular commitment to restorative yoga, one learns LIFE-LONG techniques to release and relax, which are powerful tools to have in the midst of our daily, active (stressful) lives. This is Tracy Purdy-Martin. She found herself living a stressful life. She realized that stress was affecting her physical condition. Wanting to find a better path, she took a class in Mindfulness Based Stress Reduction. It changed her life. She learned to interrupt her reactions to stress, to calm her mind and her body. She is passionate about the things she has learned that have changed her life and wants to pass them on. Stress Reduction Through Mindfulness: Life will always bring stress. As the saying goes, "Life isn't about waiting for the storm to pass. It's about learning to dance in the rain." Learn to 'dance' through mindfulness techniques and find increased happiness and peace in your life. Tracy will be offering this workshop again starting in January. This 8 week class is based on Jon Kabat-Zinn's Mindfulness Based Stress Reduction and Relaxation class with a sprinkling of QiGong. This class will teach you how to relieve stress, handle difficult situations, take control of your life, find happiness and peace and feel better. Sounds impossible? Take this class and you will see. Sign up in advance and pre-pay for this course (although financial accommodations can be made). FREE Intro January 16. Begin course Jan 23. The ancient technique of Qigong has the capacity to restore your body's natural healing power. It is said to be a powerful way to release chronic inflammation. Inflammation is considered to be one of the root causes of many physical difficulties. Pronounced "chee-gung," it was developed over 5,000 years ago in China. "Qi" (chee) means life force or energy. Thus, qigong is a method for enhancing your life force and vitality. The technique incorporates a variety of gentle, flowing movements matched to the breath. Research studies have shown that it can produce noticeable results after just one session. These are detectable in blood tests - increased levels of endorphins (the body's natural pain relievers) and reduced levels of C-reactive protein and other blood markers of inflammation. According to traditional Chinese medicine, when Qi isn't flowing, you may feel stuck, tired, stressed, and sick. Qigong unblocks and increases the flow of qi so you have more vital healing energy. 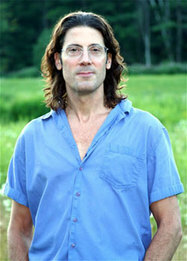 Tracy offers Spring Forest Mindful Qigong. MIndfulness is proven to be the path to reducing stress. Qigong is an ancient Chinese system of health and spiritual practice that uses visualization, breathing, and movement to better your health in mind, body and spirit. Cost: Same as any yoga class and included in any pass. Start Date: Nov. 7. Election Day. The perfect day to begin smoothing your energy with qigong. "Jivamukti" style yoga described in Yoga Journal: "Incorporating chanting, meditation, pranayama, philosophy, and music into a vigorous flowing asana, or vinyasa, practice. Jivamuti is a physically and intellectually stimulating method. This system emphasizes bringing ancient teachings alive in a contemporary setting." Founders: David Life and Sharon Gannon. Honestly, if you have not tried Yoga NIdra, you ARE missing out. This is a 1/2 hour guided experience which will guide you into a transformative meditative state. You are able to be awake and deeply at rest at the same time as YOU are not the guide. So Yoga NIdra or iRest is different than meditation and also different than sleep. Deeply healing, you will come away refreshed. You know that "refresh" button on your computer? It kind of clears up any "issues" that may have arisen, well an iRest experience is like that - it refreshes you from the inside out. The far-reaching benefits of iRest Yoga Nidra have been hailed for treating post-traumatic stress disorder and chronic pain in soldiers and veterans. Evidence-based research is also showing the efficacy of iRest for treating anxiety, sleep disorders, and chemical dependency, along with enhancing health and well-being. Yoga Nidra is a transformative and integrative healing approach that can be used in personal practice, yoga classes, and clinical and medical settings. Ari Gradus trained as a yoga teacher many years ago and incorporates the specificity of Iyengar into his own creative sequences. He has taught a regular class in New York City (his other home). He is an experienced and quite delightful teacher and we are happy to welcome him once again onto our teaching staff. He has agreed to teach the 4 Sundays in February at 1030-1145AM. Please take advantage of this wonderful opportunity to work with Ari. Ari has a clear understanding of the many challenges MEN can face in a yoga class and has an abiding interest in working with men yoga students. We are hoping that he will also continue to teach this class when her returns from a month long sojourn in South Africa. Additionally, Ari is a very well known artist. You can find his work online. An exciting and challenging place to try out new ideas, new goals, in a supportive group. Enter into the synergy of energy, commitment and excitement that participants bring to a Mastermind Group. Support others in creating and implementing goals whether personal, spiritual or career. Total honesty, respect and compassion allow each participant to act as a catalyst for growth. Let your peers give you feedback, help you brainstorm new possibilities, and set up accountability structures that keep you focused and on track. Soothing, well-supported poses that bring the body, mind and spirit into greater balance. Restorative yoga can leave you nourished and well rested, an opportunity to linger quietly in the simple sweetness of life. Jennie Cohen returns on Friday July 15, 6-8PM for a Hip Opening Workshop. Using Yoga Tune Up Therapy Balls, Jennie will help us open and gentle our hips. Jennie is a gift to our area. 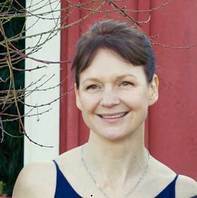 An international trainer of yoga teachers, she will be offering yoga teacher training in Brattleboro in the Fall. She also presents workshops in such varied venues as Dubai, China and Vermont! RESTORATIVE, REST and REFRESH YOGA with Sonya Boesse. Whether its physical, mental, emotional, spiritual, come practice yoga to remove the obstacles within and go to the deep level where healing can happen. Feel like you're carrying the weight of an enormous sphere on your shoulders? These little therapy ball spheres can alleviate the physical and emotional stress. Postural habits, occupational hazards (jutting your head forward to stare at a computer screen for eight hours a day), and the worries that accompany everday living all contribute to shoulder tension. As a result, shoulder and neck pain have become epidemic. In this workshop we'll use Yoga Tune Up therapy balls to soothe tense tissues and to repattern postural bearing. We'll open up restricted areas and awaken blind spots. Yoga practitioners will learn new ways to prep the body for shoulder openers, yoga teachers will glean techniques to use with private clients, and everybody will discover ways to strip away stress and fatigue. You'll receive a set of balls to take home with you, so you can use the techniques you'll learn as often as you wish. ​Using Yoga Therapy Balls, we will explore releasing the hips. JENNIE COHEN is an instructor for the international YogaFit studios. She travels world wide giving trainings: Japan, France, China, Saudi Arabia to name a few and the USA. We are fortunate to have her willing to share some of her in depth knowledge with us. Friday Feb 12, 6-730PM. MEET YOUR PSOAS MUSCLE: Release, relax, restore Your Body and Mind. with SUZY PENCE. What is the psoas muscle? And why might you care? Part of what is frequently referred to as "hip flexors", your psoas muscle is the only muscle connecting your back to your legs; spanning from your lumbar spine to the femur; with fibers extending to the diaphragm. A healthy, elongated psoas muscle is essential for balanced alignment, proper joint rotation, full muscular range of motion and your emotional health. Did you know that there are more sympathetic nerves (those governing our fight and flight responses) located at the juncture where the psoas and diaphragm converge, than anywhere else in the body? A chronically constricted psoas signals the body's sympathetic nervous system to continue to be online; depleting the adrenal glands and negatively affecting the immune system. A healthy relationship with your psoas can be instrumental to your overall health and well-being. I invite you to join me for an evening of practice that will aid in releasing and relaxing your psoas muscle and turn on your parasympathetic nervous system (the relaxation response) to bring your mind and body to a place of restoration. Tension in the neck, shoulders, and trunk can restrict breathing. The inverse holds true as well; stilted breath can result in shoulder and neck pain. You will learn how to give your body some good love using these self massage therapy balls. Jennie will introduce us to techniques for using these therapy balls to break up adhered tissues allowing us to move more freely, relieve pain, and breathe more easily. And you'll receive a set of balls to take home with you! Details to be posted soon, or contact us for more info.